t*rexes and tiaras: Whatever breathes life into your bones.. Recently, life and things have been getting rather chaotic. Feeling as though I've been treading water -both at home and at work- for the past few months, I've been trying hard to be more organised. I've been trying out different ways of attempting to manage my time better and thought I would share some of the things which have been working for me. This is by no means an exhaustive list, but I'm quite a disorganised (and forgetful) person, who also definitely takes too much on, so every little helps for me. My diary is the one thing I'd be totally lost without. I'm really, really fussy about diaries and have an annual search for a suitable one - it must be lined and A5 size, with a day per page. I take it absolutely everywhere with me, all appointments (work and otherwise), meeting notes and a daily to-do-list go in there, and I basically can't commit to anything, ever, without first consulting it. Having in / out trays which I try to clear each day helps me. I like to have a clear desk to start and end the day. I also try to remember to do different things each day; setting aside half a hour for, say, invoicing, then making sure I move onto something else. It seems to stop me from getting too distracted. Essential items such as lip balm and hand cream stay on my desk at all times because if they're sitting in front of me, I feel as though I'm more likely to remember to use them. I always forget my glasses, so keeping a pair at home and one at work means I am more likely to actually have them when I need them (mostly for close-up computer screen work, or sewing or reading). 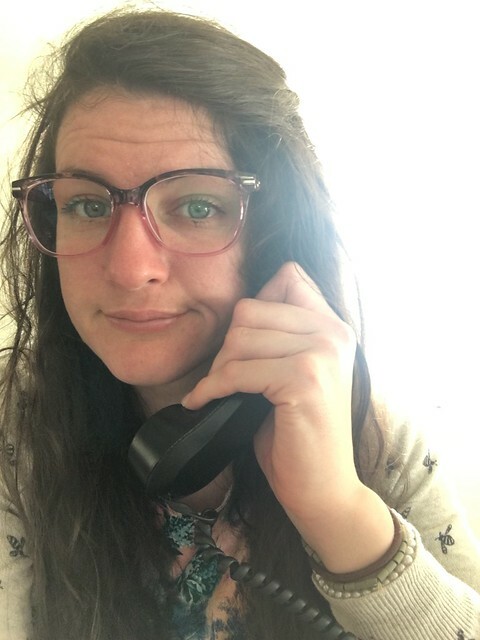 My current work glasses are these, which arrived last week and I'm definitely getting more used to. I'd been a little worried the frames were too big, but I think I really am beginning to like them. I always try to opt for colourful glasses frames and these are a mix of pink and purple, slightly translucent. Currently, GlassesShop.com are offerering 50% off all eyeglasses and prescription sunglasses on their site with the code: GSHOT50. I often have to make myself notes, shopping lists and little reminders of things I have to remember. I use washi tape to stick my "things I need to take with me" list to my front door, as it seems to be a surefire way not to forget my lunch, or gym kit, or the things I need to take to guides etc. I leave the house before 6am each morning and don't often get home before 10pm, so there's often quite a bit to remember. 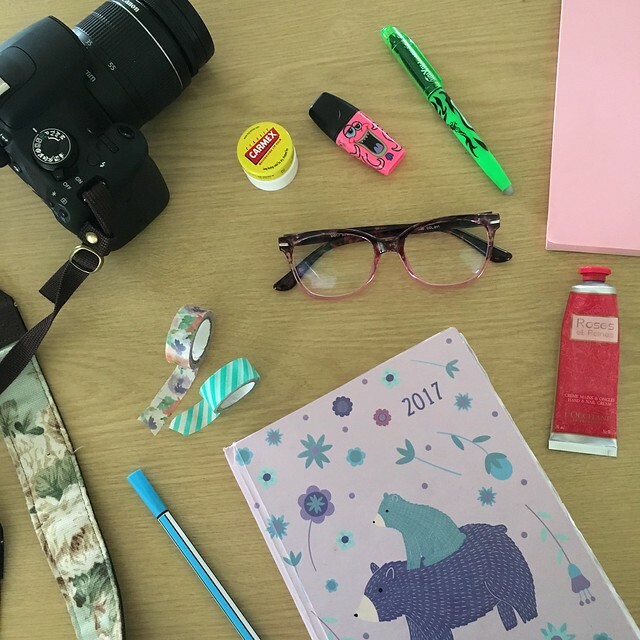 Do you have any tips for staying organised, or remembering all of the things you need to?